While there are lots of really good local wines to be had they tend to be expensive (see April 11 post). It’s the nature of the business. But I have good news. 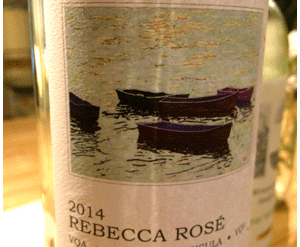 The folks at Pelee Island have launched some of the best popular priced local wines I’ve ever tasted. Premium for less than $15. Pelee could be described as the Wal-Mart of local wine – delivering ‘something for everyone’ at everyday prices. Hugely popular with price conscious drinkers – but off-the-radar for most ‘gourmet’ wine enthusiast. But these new wines could change everything. I was blown away and I’ll be surprised if you’re not equally impressed, and delighted. Besides delivering quality at a good price the wines are truly local in style. best thing about these wines is the local flavour. While they are editions of wines from elsewhere, the feeling is cool climate Ontario. Somewhere between France and California. A style that makes us unique. 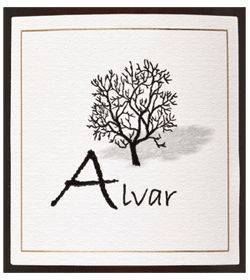 The wines I’m recommending are branded under the ‘alvar’ name which is a tree that grows on Pelee Island. The look is classy so you can feel, and look good buying local – which is important. Let’s start with the Semillon/Sauvignon. Pelee does a great local edition of this Aussie blend. Bright, brisk and herbaceous. Brash wine to kick-off the event/evening. The Chardonnay/Gewurztraminer blend is mainly about the spicy/exotic flavours of Gewurz. Charm and seduction. Would be a lot of peoples ‘perfect’ wine. And why not – there’s much to like. Including the zesty refreshment that carries the beautiful flavours. Party sipper for sure, but I’m thinking Sunday brunch. The reds are wonderful, cool climate in the Bistro-style. Not prize winners, but great drinks. Maybe not ‘big’ enough for some guys, but please check em out. The Cabernet is rustic and very Bistroish. Invigorating stuff to keep the palate refreshed. Get down, get drinking, and get the second bottle open. There’s an Italian spirit here too – the tangy dryness. P.S. This is not all, I’ve got a few more Pelee recommendations coming up soon. Pelee rocks.